Fairhope is playing Russian Roulette in court and the city council has not said a word to the general public. The gun is cocked and aimed at the head of the Fairhope council, the absolute worst in 20 years, who is asleep at the wheel. Tim Kant’s past bad deeds are catching up with Fairhope. First was the Dyas, Triangle, lawsuit. The Mayor, Timmy, and the then council, Boone and Burrell, who were present, pulled a fast one on the city taxpayers. They claimed to settle the lawsuit and the purchase of land, as a “WIN”. This was an absolute lie and cost Fairhope 11.25 million dollars. On top of that the council pledged to the sellers that they were going to build a park. This all turned out to be total B. S. The land remains vacant to this day. 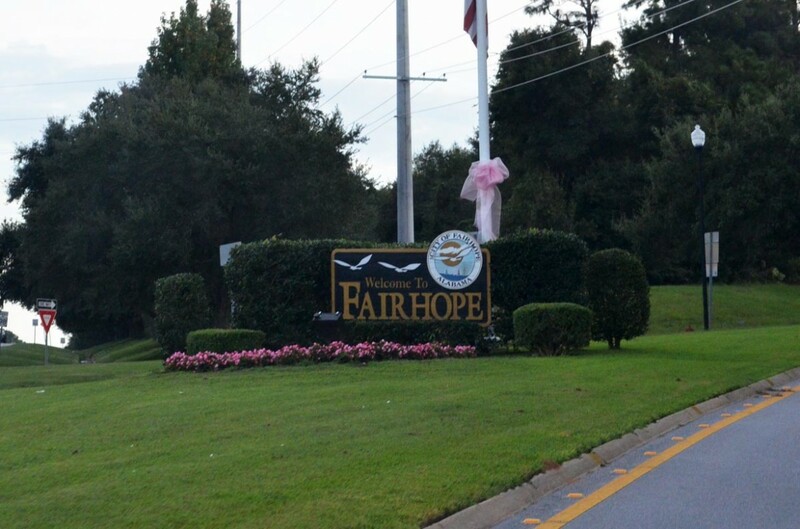 Please remember Fairhope just went through a referendum vote to change the government from at large to districts. The present Catalyst Council said they represented everyone in town, not true they are for special interest, Catalyst, and keeping the citizens in the dark. Tim Kant’s legacy lives on, bogus lawsuits, that cost the city millions while the council spins false narratives, never accepting any responsibility themselves. The Dyas lawsuit could have been settled for under a million dollars. Mayor Kant drove that price to 8.25 million and a 3 million dollar legal bill from attorney O’Rear. What an appropriate name for an attorney that shafted Fairhope. For almost 11 years the city has been engulfed in yet another lawsuit that the present council, has been kicking the can down the road, never attempting to settle or resolve the issue. This lawsuit began before any of the council or present mayor were in office. However this council has made no attempt to advise the citizens of Fairhope, that they have made no attempt to resolve the issue. Just like the Dyas lawsuit this lawsuit could have been settled for 10% of what it may end up costing Fairhope. I hope you read the above article, written 2 years ago. This particular article touches on many legal issues that most citizens are unaware of. Fairhope City Council has no leadership in fact they are guilty of dereliction of duty. They have yet to deliver an approved budget. Their excuses vary from not having enough time or not understanding the budget! How can they represent us all and not deliver a budget? Do ya think they run their households or personal business, 3 months behind? Delay in the budget and ignoring the pending litigation, is costing the taxpayers, plenty, and the council is 110% responsible. 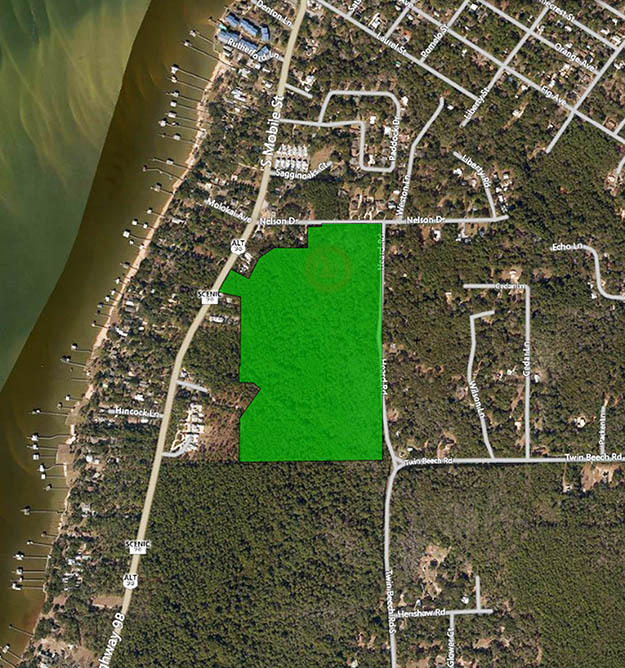 Unlike the Dyas lawsuit, Fairhope may be looking at 10 million in damages and the property owner, Mr Buddy Breland, will be able to proceed with the project, if Fairhope loses. The Ripp Report has spoken with Council President Jack Burrell and Councilmen Robinson and Conyers, trying to encourage them to reach some sort of settlement, all to no avail. Breland has given many options to the council, all have been ignored. Attorney fees are in the millions, taxpayer money, yet the council continues to allow the situation spiral out of control. Make no mistake the Breland case is the sole responsibility of the Fairhope City Council. Last week the case took another step in court, with none other that former Mayor Kant taking the stand. He turned red as a beet and stumbled numerous times in his answers in court. Kant admitted in court that the regulations that held up Mr Breland were put in place, “after the fact”. Kant has always used lawsuits to beat people back and it works about 90% of the time, until you run into a Breland, Dyas or Ripp. Kant used our insurance company to cover those costs and even that resulted in yet more lawsuits by the city’s insurance carrier. One insurance company dropped the city as a carrier due to the unethical practices of city hired attorneys and the mayor. Fairhope City Council is playing Russian Roulette with the chamber full. If they do not settle the case and the appeal process favors Mr Breland, taxpayers are going to cover the mistakes of a failed council. Is this the “at large” council you voted for? It is the same council that continues to cost the city money on lawsuits, that they create or turn a blind eye too. The Ripp Report is a Non-Profit Consumer Organization. The Ripp Report handles consumer issues, offers consultation on specific issues, family court issues and exposes political corruption. Stupid is as it does. Who is the sh*tty council prez? Starts at the top. And runs downhill. That was not the last time they pulled the insurance scam. Well what do you think insurance is for? Do what you want while “serving” in government and if you get sued then just have the ole insurance policy bail you out. See, it is like this: Do what you want, get sued, file a claim, repeat. Repeat until you make enough money and retire. Soon somebody will name a building after you. Robert Brown enjoys his dream home after a 600k art center contract…he is a city councilman and on the arts center board. Think airport lemmings. Fairhope citizesn best get involved soon. The trends are negative fast. Tim Kant did a great job. The Fairhope Council do not care. They all ran for personal gain and power.